A Cambridge University post-graduate student is speaking out about her interactions with Stefan Halper, a former Cambridge professor who was revealed in 2018 as a longtime FBI and CIA informant. Svetlana Lokhova claims Stefan Halper was behind false allegations provided to U.S. intelligence that she attempted to compromise Michael Flynn at an event held at Cambridge in 2014. Halper is known to have made contact with three Trump campaign aides — Carter Page, Sam Clovis and George Papadopoulos. His links to Flynn have largely gone unexplored. Svetlana Lokhova did not get along with Stefan Halper, which is what she says made a dinner invitation to the Cambridge University professor’s home in January 2016 all the more peculiar. “Halper was a lurking presence with a horrible aura — I avoided him,” said Lokhova, a Cambridge post-graduate student who studies Soviet-era espionage. Lokhova dodged the invitation to Halper’s home, which she said was sent to her by Christopher Andrew, a Cambridge professor and official historian for MI5, the British domestic intelligence service. But the past three years have revealed new details about Halper and other activities that went on at Cambridge that have caused Lokhova to question why she was asked to that dinner at Halper’s. A year after those stories appeared, The Daily Caller News Foundation reported Halper cozied to three Trump campaign advisers, Carter Page, Sam Clovis and George Papadopoulos. In May 2018, Halper was revealed as a longtime CIA and FBI informant, a revelation that led President Donald Trump to accuse the FBI of planting a spy in his campaign. The Republican coined the term “Spygate” to describe the alleged scandal. 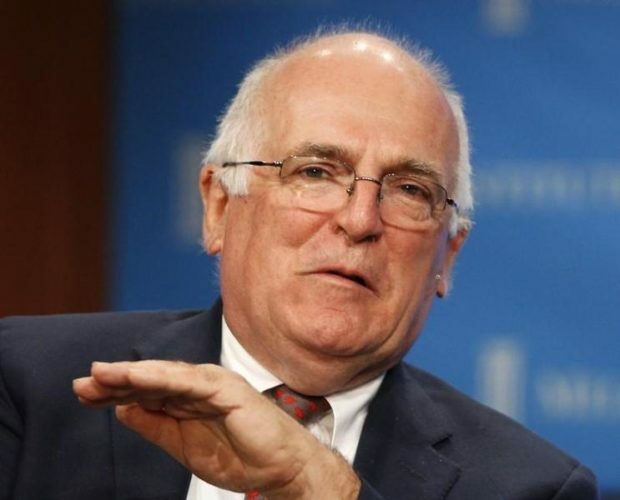 After Halper’s links to American intelligence were revealed, The New York Times and The Washington Post reported he and another Cambridge luminary, former MI6 chief Richard Dearlove, raised concerns about Lokhova’s contacts with Flynn that were subsequently passed to American and British intelligence. Lokhova blames Halper for distorting her brief interaction with Flynn into “an international espionage scandal” in which she wound up as collateral damage. “What Halper staged is a textbook ‘black-op’ to dirty up the reputation of a political opponent. He needed an innocuous social event to place Flynn in a room with a woman who was ethnically Russian. I was unlucky he picked me,” Lokhova told TheDCNF. Lokhova, a dual Russian and British citizen, has spoken out before about Halper and the allegations about her in the media. She accused Halper of making “false” and “absurd” claims about her in 2018 interviews with TheDCNF. She has also taken to Twitter to criticize reporters who published allegations about her and Flynn. The Guardian’s Luke Harding is one target of Lokhova’s ire. She has criticized the British reporter for a March 31, 2017, story that contained thinly veiled allegations she tried to compromise Flynn. According to the report, which was based on anonymous sources, American and British intelligence developed concerns about Lokhova’s interactions with Flynn at the February 2014 dinner, which was hosted by the Cambridge Intelligence Seminar. Halper, Dearlove and Andrew are co-conveners of the seminar, which hosts events for current and former spies. The Wall Street Journal also published an innuendo-laden story March 18, 2017, about Flynn and Lokhova. The hook for the story was that Flynn had failed to report his contact with Lokhova to the Defense Intelligence Agency. Lokhova, who has lived in the U.K. since 1998, vehemently denies the insinuations in the articles that she is a Russian agent or that she tried to seduce Flynn. She has provided emails and photographs to TheDCNF to help back up her case. She also notes that all of the allegations about her have been made anonymously. Dan O’Brien, a Defense Intelligence Agency official who accompanied Flynn to the Cambridge event, told TheWSJ he saw nothing untoward involving Lokhova. Lokhova’s partner, David North, has told TheDCNF he picked Lokhova up after the event. Since learning more about Halper, Lokhova has reflected back on the few interactions she had with him over the years at Cambridge. A veteran of three Republican administrations, Halper joined Cambridge in 2001. From his perch at the stories university, Halper wrote books about American politics and the geopolitical threat that China poses to the West. He also received over $1 million in contracts from the Pentagon’s Office of Net Assessment to write studies on Russia, China and Afghanistan. Lokhova says she first remembers seeing Halper in November 2013, when she gave a talk about her research on Soviet-era spy archives. The pair had few direct interactions over the next several years, even though they attended the same academic seminars. Lokhova recalls one interaction in 2014 or 2015 when Halper sat down at a table with her and North. Lokhova also said she learned from a Cambridge faculty member that Halper was spreading rumors that she was linked to Russian intelligence. On March 25, 2018, TheDCNF reported on Halper’s contacts with the Trump campaign. Halper, whose late father-in-law was legendary CIA official Ray Cline, made contact with Page at a political forum hosted at Cambridge on July 11, 2016, nearly three weeks before the FBI opened its investigation of the Trump campaign. Page attended the event after receiving an invitation in June 2016 from a Ph.D. student who studied under Halper. Two months after TheDCNF report, the Times and Post identified Halper as a longtime FBI and CIA informant sent to gather intelligence on the Trump campaign. The newspapers also reported Halper was one of those at Cambridge who had expressed concerns about Lokhova’s interaction with Flynn. The Post reported June 5, 2018, that Halper and Dearlove were “disconcerted” by Flynn and Lokhova’s interactions in 2014. Those concerns were provided to American and British intelligence, though it is unclear if Halper and Dearlove were direct sources for the government agencies. Dearlove met prior to the 2016 U.S. election with Christopher Steele, the former MI6 officer who authored the infamous anti-Trump dossier alleging a “well-developed conspiracy” between the Trump campaign and Kremlin. Christopher Andrew’s Jan. 12, 2016, dinner invitation sticks out in Lokhova’s mind not just because of its randomness — “it came out of the blue,” she says — but also because of all of the other events that unfolded at that time. Lokhova says Christopher Andrew emailed her asking her to keep Feb. 13 and Feb. 20, 2016, open on her calendar to attend a dinner for Halper’s wife. Lokhova, who wrote her dissertation under Andrew’s direction, says she was caught off guard by the invitation, both because she had barely spoken to Halper and because she did not know Halper’s wife. Lokhova has no proof that she was being lured to meet with Halper in order to gather dirt on Flynn, but she is now suspicious because of the timing of the invite. 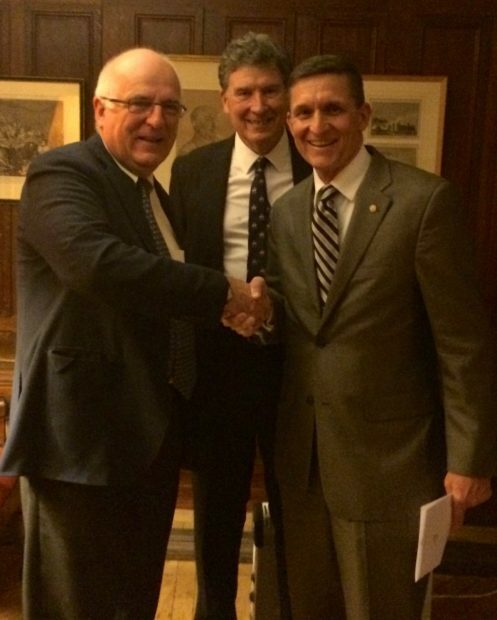 In December 2015, a month before the invitation, Flynn attended a gala hosted by RT, the Russia-owned news agency. The Moscow visit is often cited as evidence of Flynn’s too-close links to Moscow. Flynn joined the Trump campaign as an informal adviser in February 2016. The allegations about Flynn and Lokhova came out of nowhere. In an essay at the London Times on Feb. 19, 2017, Christopher Andrew wrote of the “impulsive” former national security adviser he had met for the first time three years earlier. Andrew’s essay was a response to Flynn’s firing as national security adviser. 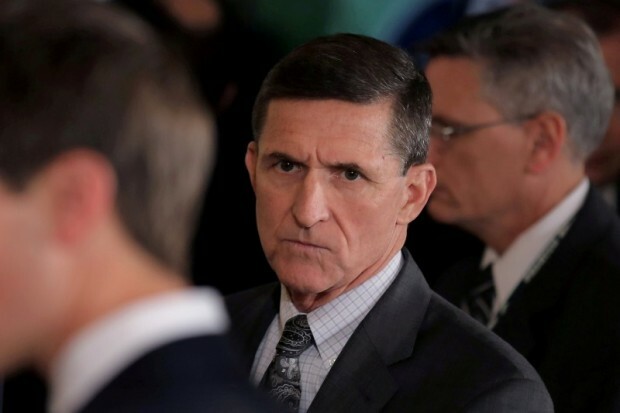 Flynn, a retired lieutenant general, was forced to resign Feb. 14, 2017, after allegedly lying to the White House about his contacts in December 2016 with then-Russian ambassador Sergey Kislyak. Flynn would later plead guilty to lying to the FBI about those contacts. Lokhova says she was taken aback by Andrew’s article. For one, Andrew had not told her that he would be writing the article even though they were in frequent contact. At the time, Lokhova and Andrew were working together on a book based on Lokhova’s research of Soviet intelligence archives. Andrew’s piece also contained clear sexual undertones, including the suggestion that a Russian student (Lokhova) had “charmed” Flynn. Reporters came out of the woodworks following Andrew’s story, says Lokhova. Emails seen by TheDCNF show she was contacted by Washington Post columnist David Ignatius, who said he had been in contact with Andrew and wanted to speak to her during his planned visit to Cambridge. Ignatius would write a column May 22, 2018, defending Halper after he was outed as a government informant. A source familiar with Halper’s contacts with the Trump campaign has told TheDCNF he suggested the Trump campaign establish a relationship with Ignatius, who did not publish a story on Lokhova. The Times also contacted Lokhova to inquire about Flynn, but the newspaper did not run a story about her or Flynn. TheWSJ and Guardian, however, did publish articles. Both reports, published in March 2017, suggested Flynn had failed to report his encounter with Lokhova to the Defense Intelligence Agency. But the real meat of the story was that U.S. intelligence officials had “serious concerns” about Flynn’s interaction with Lokhova. The reports do not say whether those concerns were raised in 2014 or years later, but the timeline is important. If Halper was concerned about Lokhova as early as 2014, why was she invited to his home two years later for dinner? 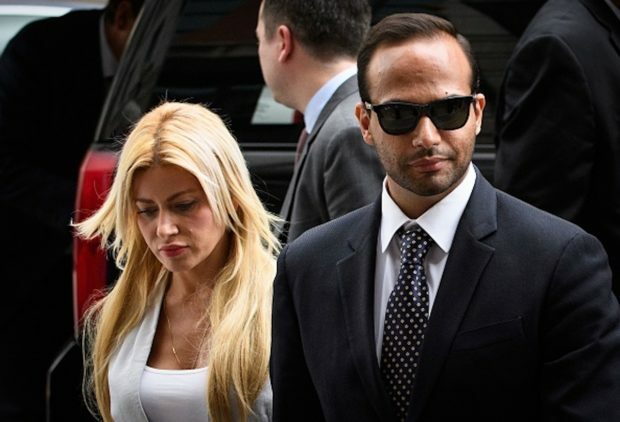 Lokhova speculates that Halper intended to do what he did with Page and Papadopoulos. But if Halper waited until 2016 or later to raise concerns, was he truly worried about her contacts with Flynn? She points to an email Andrew sent her April 19, 2017, to say he had told a Guardian reporter she was not a Russian asset. “This material is quite sufficient to dispose of conspiracy theories about SL somehow serving some Russian interest,” Andrew wrote Lokhova in the email, which she provided to TheDCNF. Lokhova notes the dinner Flynn attended was a small event and that all of the attendees had been vetted by DIA. Photos Lokhova provided to TheDCNF show she did not sit next to Flynn at the dinner, as the Journal’s sources claimed. Lokhova says she interacted with Flynn, but that others, including Dearlove and Andrew were close by. And though Lokhova was the only Russian at the dinner, most others Flynn met with were non-American. No stories were published suggesting that he had failed to report his contacts with a group made up largely of Brits. Lokhova has also provided TheDCNF an email which showed she was invited by Cambridge officials to meet with Flynn’s predecessor, Gen. Vincent Stewart, on May 1, 2015. If Lokhova was a threat to Flynn, why would she not have been a threat to his successor, she wonders. Andrew, Dearlove and Halper have avoided comment. Cambridge reportedly instructed faculty to avoid discussing the topic because of its sensitive nature.